Certified fiber optic technicians and IT gurus are raving about one thing that they love in common: they both agree that fiber optic cable is the best. Of course fiber optic cable is what the IT crowd is most likely using these days because they provide faster and more secure internet. These are the reasons why fiber optics is more appealing and stronger coming from the standpoint of an IT professional. Start little, grow bigger and stay big. Metal wiring of all kinds have a very limited tolerance for electricity, and such tolerance decreases over time. This means that even though the compression algorithms are compatible to data, the end results will still be that the wire is going to limit its full potential. Fiber optics does not have such limits. Remember, just changing the equipment found on both ends of a fiber optic wire will always end up with better performance. Aside from that, the fiber optical cables do not degrade with time, in contrast to what happens to copper wiring. Fiber optic cable is friendly to the environment. Let us always consider that the electrical requirement to transmit an electrical signal over hundreds of kilometers of wire is typically scores of times the amount of energy required to send a brief flash of light at just the same distance through fiber optical cable. Decreased energy requirements translate to a lower carbon footprint and a more affordable price of operation, which benefits both the network owners and their customers too. Harsh weather doesn’t seem to faze nor bother fiber optics. 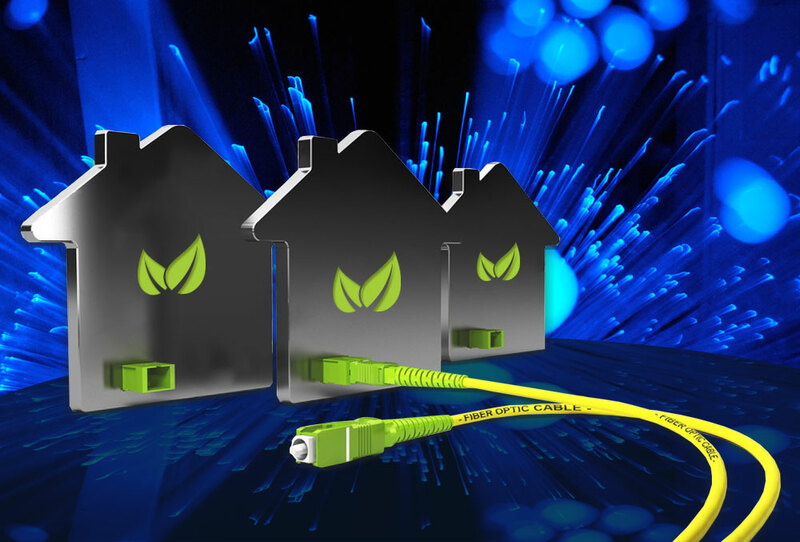 Since fiber optical cables transmit light rather than electricity, they are not affected by changes in the rain, temperature, or nearly any other environmental condition. Fiber optical cables may not be impervious to everything, but using and maintaining a network of wires is costly and hazardous by comparison. Copper wires, over time become brittle most likely if they are overused and or subjected to hot ambient temperatures. Cold ambient temperatures help transfer data through copper wire easily, but talking about long distances, the results may be more electricity being transferred to the port than what is needed. This may end up with a burnout or a fire. This is not the case with fiber optical cabling, as it is not usually affected by weather conditions. To be fair, light doesn’t actually travel faster, but data is beamed faster because of the larger capacity of fiber optic cables. How large is the capacity of these cables? Today’s commercial applications can send up to 10-80 Gigabits per second through a single channel. For example, if we look at Wave Division Multiplexing, several channels are transmitted over a single fiber optic cable, which increases the capacity dramatically.